West Coast Stoner Metal Legends SLEEP recently confirmed support for their special New York City show at Terminal 5 on June 22 . The bill will now include two New York based acts: Space rock duo White Hills and recently reunited Death/Doom trio Winter. Both bands were featured on this year’s illustrious Roadburn Festival in Tilburg, Holland. 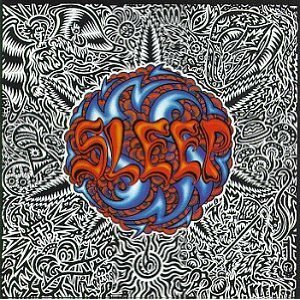 SLEEP – Stoner Metal Legends Announce 2011 Live Dates! BLIZZARD OF 2010 – PART TWO! What gives with all the snow falling down in the Mid-Atlantic States this year? The New England States too. Hey, Al Gore… where are your speeches on global warming lately? Uh… Al, Pennsylvania is awaiting it’s SECOND BLIZZARD of February 2010! 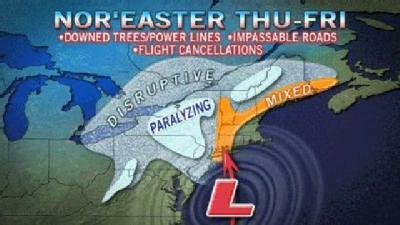 That is TWO BLIZZARD’S in one month… see what happens once the temperature begins to rise! Greenhouse effect? Um, try freezer effect. Or, try something better than that… it’s the good ol’ North Atlantic Oscillation, (NAO), and/or the same damned historical pattern of weather that has been happening in the Mid-Atlantic and New England States for centuries. Oh, Al, we poor people, you know, (the people who can’t afford those green cars that only politicians, spoiled major league athletes and celebrities can afford), well, we know a blizzard when one hits us. Gee whiz, I really could use a lecture on greenhouse gases and how hot the climate is right about now. I could use a hearty laugh. Hey Al, what do BLIZZARDS and HEAVY METAL have in common? Neither one YOU can prevent or ban! Try censoring a BLIZZARD… nice try. Put a parental advisory sticker on a BLIZZARD? Nope. I’ll handle this second BLIZZARD by turning up my heat and running up my electric bill… then kick back and listen to Metal Music… LOUD. I’ll then shovel my family and I out once this BLIZZARD passes by… should I wear a thong when I do shovel the snow? It is supposed to be so hot outside with all of this climate change happening, isn’t it? 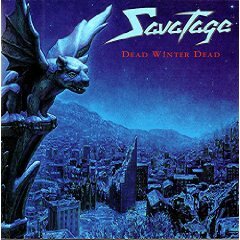 This great album cover from Savatage sums it up best, when describing the Winter weather that has taken it’s toll on the Mid-Atlantic States in 2010. ANGEL – “THE WINTER SONG” IS MY BLIZZARD OF 2010 THEME SONG! It is Thursday, February 11, 2010. The cleanup begins. The cleanup after the Blizzard of 2010 that is. This unreal blizzard attacked the East Coast yesterday, with the great state of Pennsylvania directly in it’s angry path. I’ve seen some major winter storms in my life, this one was a monster in it’s own right. Upwards of nearly two feet of snow blanketed Pennsylvania after 24 hours of snow falling from the sky. Ah, the cleanup that will take place up and down the Eastern Seaboard today… patience shall be a virtue for us all. As I listened to various music yesterday, I was thinking all along about picking out the perfect blizzard song, a winter song… alas, I was reminded of Angel – The Winter Song. This 1978 song sums it up best… about the spirit of Winter and looking upon this cold, stormy and sometimes isolated season in a different light. Once the holiday season comes to a close, the Winter season takes on it’s own ominous and elongated meaning unlike any other time of year. Still, Winter is here, the blizzards will come and life goes on. Winter, I have learned, is what you make of it. As long as I’m alive to experience this season despite the often times chaotic weather events it brings, I should just be happy that it’s a brand new day. HAPPY ANNIVERSARY TO MY UNMISTAKABLY LOYAL AND LOVING WIFE TODAY! 15 YEARS! IT’S THE OFFICIAL DAY! THANK YOU FOR EVERYTHING YOU DO AND FOR WORKING SO HARD HONEY! THIS SONG IS FOR YOU TOO! 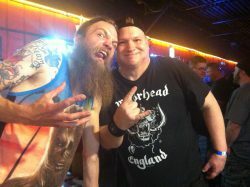 LONG LIVE ANGEL AND MY MARRIAGE! If you feel like it, you can check out the post I wrote about Angel and their 1978 Angel album – White Hot, by clicking the header below. I wrote this post back on April 4, 2009.